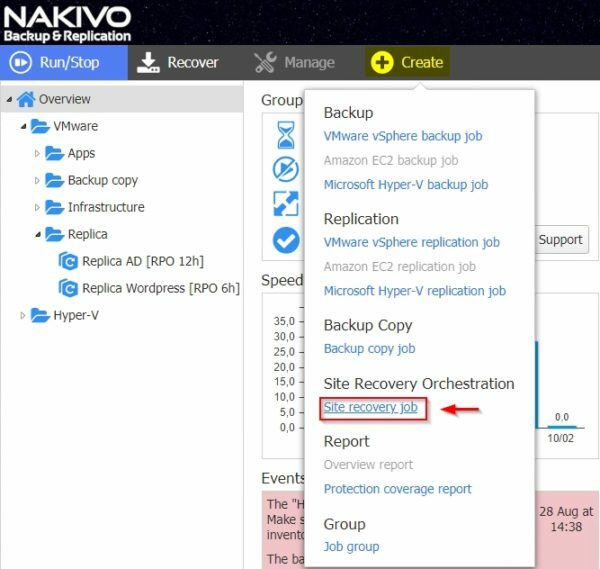 Nakivo released Nakivo Backup & Replication 8.0, a major release that includes the new automated Site Recovery feature to ensure 24/7 availability. 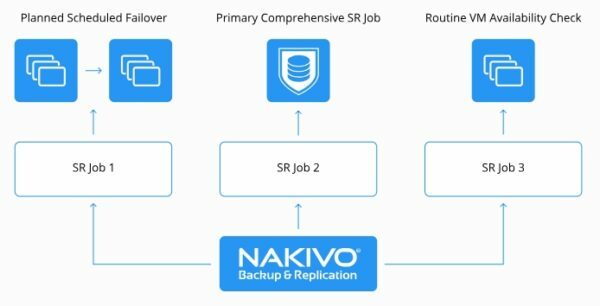 Nakivo Backup & Replication is an affordable solution to protect Hyper-V, VMware and AWS EC2 environments. Without any extra costs, version 8.0 ensures 24/7 availability of your virtual environment by orchestrating the disaster recovery activities. 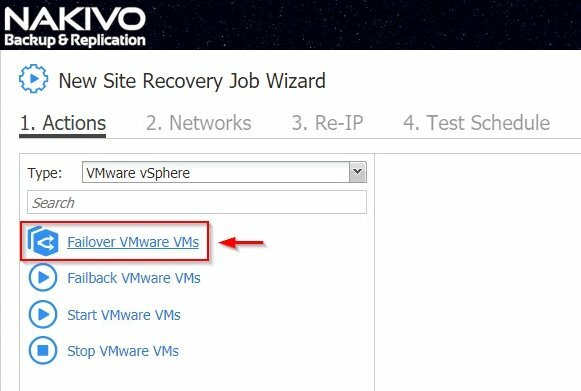 The key point of a disaster recovery plan is to ensure data availability with the lowest RTO possible to restore failed VMs. To achieve that goal, DR plans must be checked and verified on regular basis to ensure they actually work. Version 8.0 provides not only the capability to test DR sites but also to automate other tasks such as startup/shutdown of virtual machines, EC2 instances, etc. The new feature is available in Nakivo Enterprise Edition, and it has been designed to ensure business continuity minimizing services disruption. Site Recovery jobs can be easily created through an intuitive GUI and for different scenarios. 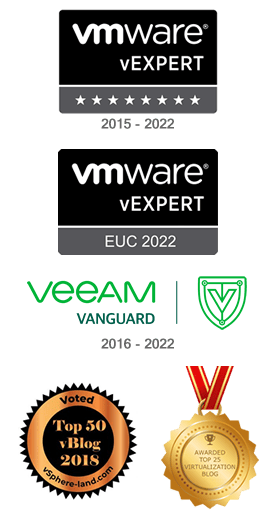 Orchestrate and automate DR: VMs state is continuosly verified by Nakivo sending a notification if a VM is unreacheable. The most suitable Site Recovery job can be run in few steps. Create multiple Site Recovery jobs: un unlimited number of Site Recovery jobs can be created to serve different purposes. A specific job can be created for a specific scenario. Test and update existing Site Recovery jobs: to ensure that a Site Recovery job can be used successfully when a failure occurs, it should be tested on a regular basis to verify its integrity and recoverability. Tests run in an isolated environment without disrupting the production environment. You have also the option to modify the job to meet specific requirements. Meet your RTO: when implementing a DR plan, the expectations in terms of RTO must be supported by the target infrastructure to avoid unforeseen difficulties. Every Site Recovery can be tested to verify the target meets the RTO set. Decrease TCO: the Site Recovery feature allows to automate the verification process of recoverability ensuring the required resilience of the infrastructure saving time, effort and costs. The creation of a Site Recovery job is done through the wizard launched from the dashboard. You have to select the actions required for the specific scenario (start/stop VMs, failback VMs, etc.) you want to run. 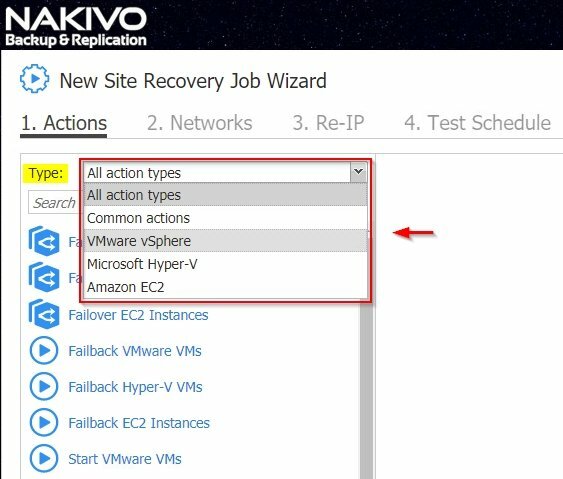 To create a Site Recovery job, from the Nakivo's dashboard select Create > Site recovery job from menu. Select the action you need to perform. To display actions related to a specific environment only, you can apply a filter by selecting the appropriate environment from the Type drop-down menu. Based on previous selection, you can now select available actions to finalize the configuration for the current job. 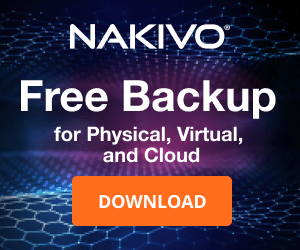 Nakivo Backup & Replication is constantly under development and for each new release, new features are added to the software placing the product as one of the most interesting backup solution currently available in the market. 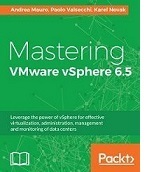 Few weeks ago version 7.5 was released introducing the Advanced Bandwidth Throttling feature as well as the support for VMware vSphere 6.7. 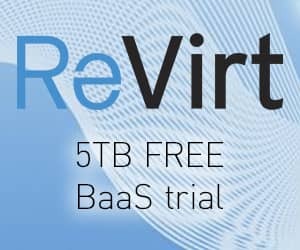 Nakivo Backup & Replication 8.0 is available to download as 30-day free trial.